A national version of the Heartbeat Bill, a bill that would effectively ban abortion at roughly six weeks of gestation, was introduced yesterday in the U.S. House of Representatives. The bill is sponsored by Representative Steve King, a Republican from Iowa. 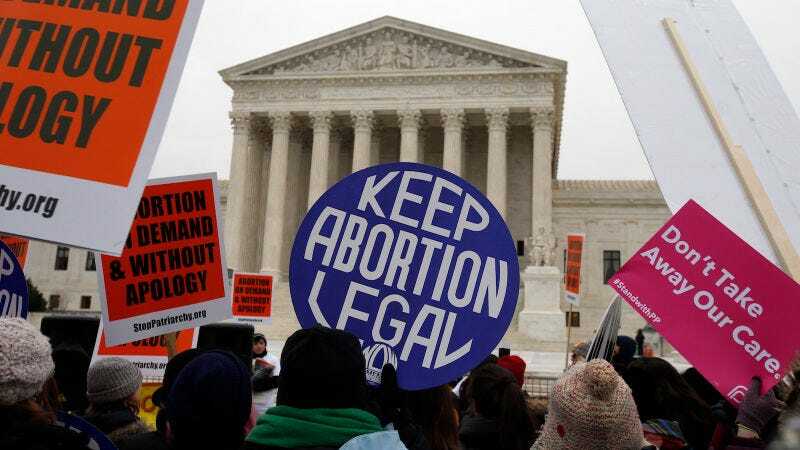 The bill is meant as a direct challenge of Roe which established 24-weeks—the gestational point that the Supreme Court determined to be the point of viability—as the legal standard for abortion. In the last few months, however, that standard has been challenged. Numerous states, empowered by the reality of a Trump appointee on the Supreme Court, have introduced bills that ban abortion at 20-weeks and two states, Kentucky and Ohio, have passed restrictive bans. Recently, Ohio Governor John Kasich signed his state’s 20-week ban but vetoed the “Heartbeat Bill.” Though Ohio legislators tried to override Kasich’s veto, they were unable to resuscitate the bill in the state. Janet Porter, president of Faith2Action, who was behind Ohio’s Heartbeat Bill, took the almost identical bill to King who was happy to introduce it (King has a zero percent rating from Planned Parenthood Action Fund). “The heartbeat is a universal indicator of life — it is time we recognize it across the board,” Porter told the Cleveland Plain Dealer. “It’s time we stop discriminating against the youngest members of the human family — babies whose heartbeats can be heard,” she added. In nearly any other time in American politics, I would end a post like this by noting the improbability of a bill like this making it out of committee, let alone to Senate. But considering the unusually large number of anti-choice bills appearing in state legislatures combined with our political climate, who the hell could predict the legislative future of the Heartbeat Bill?